Z was very disappointed not to have snow before Christmas, so while we keep our fingers crossed for a cold snap, we decided to make a snow tunnel and snow man for Baby H.
We just stuck together 2 pom poms, added a scarf that I had french knitted, a hat from an Innocent smoothie, a pine cleaner mouth and some glitter glue eyes. For the tunnel we made some pom poms and I stitched them to a bit old old fleece. 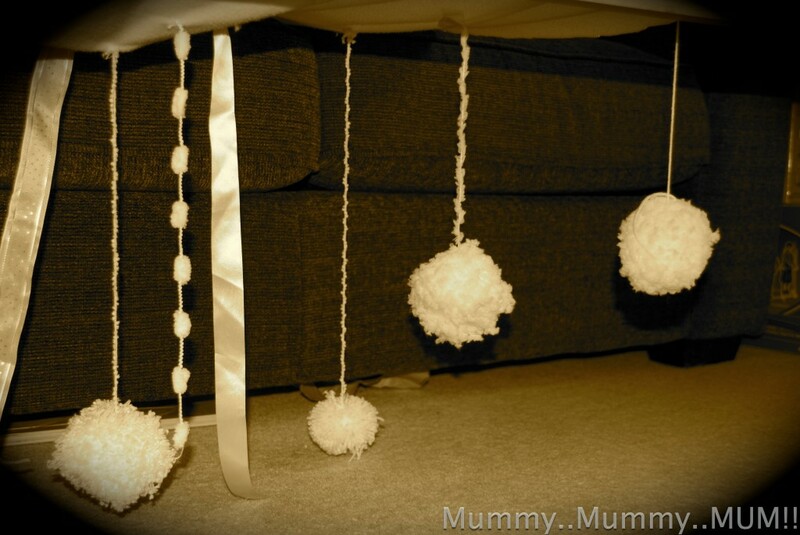 Z and I strung it up over two chairs so it was a tunnel for Baby H. She loved crawling through it banging the pom poms with her arms and head. Unfortunately the tunnel didn’t last long and the game turned into throwing the pom poms, but at least they are soft and light. Super cute snowman! I’d love for you to share it over at TGIF Linky Party – http://livinglifeintentionally.blogspot.com/search/label/Linkey%20Parties – I know my readers would love it too! 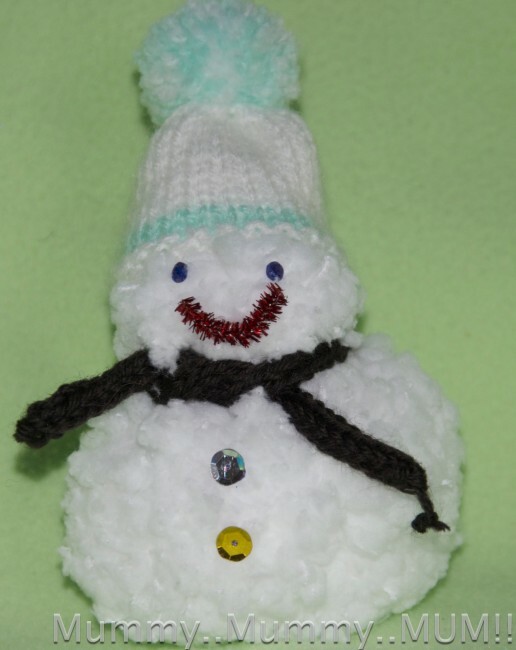 What a very cute snowman.. but I do LOVE the pompoms in the tunnel!! 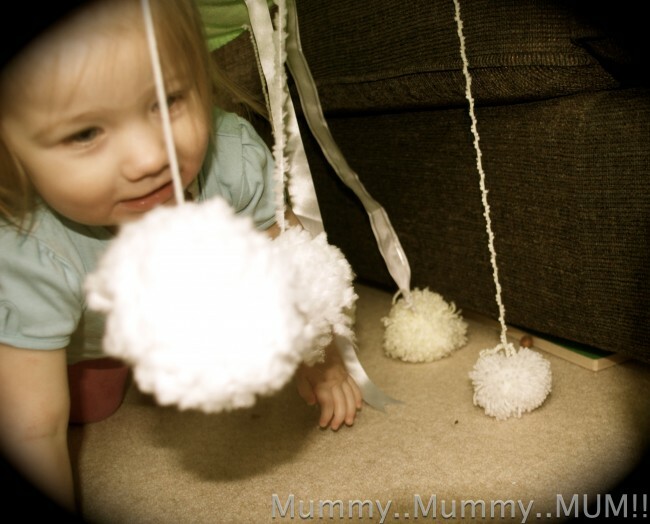 What sensory fun! Looks like they had lots of fun with the faux snow! I found you at Creative Juice Thursday and am a new follower. I have a new meme called Thematic Thursday and this week’s theme is Winter/Snow. I’d love to see this post link up. Find Thematic Thursday here. Super cute and fun. I bet the texture is fun enough for little ones. Thanks for joining us at Monday Madness. I love this cute snowman. Looks like lots of fun to make! 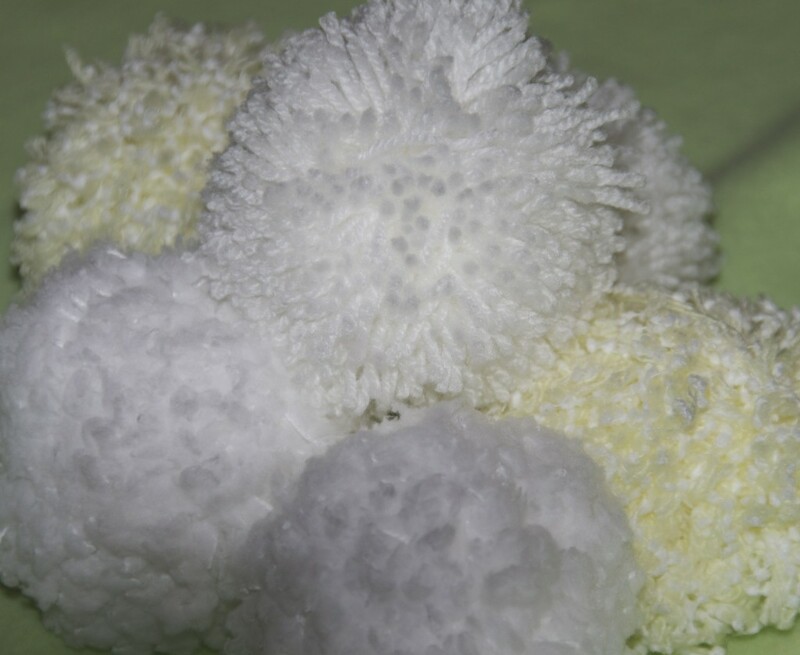 Wow pom poms! I can’t remember the last time i made one but that is fab! pinning this!